There is no CFP (call for proposal) for Swift India Conf. Speakers are hand-picked based on many factors to make sure we can put together the best conference for the community. If you’d like to speak at Swift India Conf, please fill out this form. We will get back to you via email only if you are selected. I am selected as a speaker. What’s next? Congratulations! We are honored and pleased to have you as a speaker at Swift India Conf. Sit back and relax. A member of the Swift India Conf team will contact you to guide you through the next steps. All you need to do after that is prepare the best talk of your life. What is format of the talk, how much time I should take? Prepare a talk that lasts 20 minutes. Can I show a live-demo at the conference, is there anything I should be worrying? Live demos and interactive presentations are highly encouraged but do let us know about your technical needs in advance. What are the obligations if I have selected a speaker for Swift India Conf? You consent to and agree to respect Swift India Conf’s Code of Conduct. You consent to the publication of your photo, biography, talk description, any photos of you we make, recording of your talk (audio and video) and slides, by the organizer, on the conference website and other online services, for the purpose of conference promotion. You agree to be available to perform a talk at the venue at latest. You understand that the schedule published on the website isn’t final and that we may make last-minute schedule changes. It is very desirable that you plan your travel to Bangalore at least a day before the first conference day and attend the speaker’s dinner (it’s on us!). It’s not required, but you’ll miss loads of fun & opportunity to connect with other speakers if you pass. In short, no - we only accept one talk proposal from each speaker candidate. One of our core values is finding highly valuable talks to be presented to our attendees. This means that we extensively vet each talk proposal. By setting this rule we would like to invite you to invest all you’ve got into your single proposal, and at the same time help us save some time in the selection process. 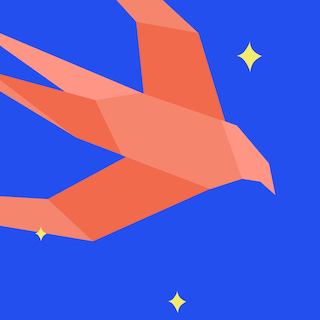 In case you have many ideas and a hard time figuring out what would fit the Swift India Conf best, we invite you to reach out before you submit your talk. We would be happy to advise you on what will suit our audience better. Developers - A developer who develops Apps for anyone of the Apple platform, it could be iOS, macOS, watchOS, and tvOS. In other words - this is a single-track conference, make your talk bring value to everyone. We suggest that your proposal follows the conference theme which is revolving around the intersection between iOS Application Development, Swift Programming Language, and new technologies introduced by Apple in previous years. Are there any talk selection criteria? Choose an interesting and trending topic for your talk that is relevant to the theme of the conference. This is going to be a single track conference. Ensure there are a takeaway and value for all groups of attendees. Going too technical is good, but focus on the higher level problems that are interesting for developers. Choose a topic that you are familiar with. Prioritize talking about the experience over talking about theory. Battle scars are interesting! Share your failure or success story about applying an approach/technology/tool to a problem and the lessons learned. Our audience expects to get inspiration, learn, and apply their learnings to their current problems. Present something relevant. One of your challenges as a speaker is to demonstrate that you understand that attendees might need an extra reason to pay attention to something that they might otherwise think as “settled”. Make sure that the talk abstract contains as much detail about the presentation as possible. Let people know what your talk is about with a simple and topical title. Keep the audience in mind, let them know what they will take away from it. Limit the scope of your talk to what you can cover in 20 minutes. Why my talk/proposal didn’t get selected? Talks whose focus is pitching a company or project. It’s cool that you mention your company during the presentation, but it shouldn’t be the focus of the talk. Talks about a specific tool/library/project explaining how it works or how to use it. Proposals that don’t comply with our Code of Conduct. Proposals that are not in English. Recruitment talks to attract talent. Talks which has too much theory. I’m speaking at a conference for the first time. Do you have any public speaking tips? We strongly recommend you check out this website from Zach Holman. It includes good tips and guidelines for public speakers.